LOOSEN UP, FEEL GOOD AND RELIVE WORLD CLASS UP BEAT REGGAE SONGS AND PARTY MUSIC, FROM THE MUST SEE ONE PLANET SHOWBAND. OUTSTANDING VOCALS AND HARMONY WITH LIVE PERCUSSIONS AND GUITAR. 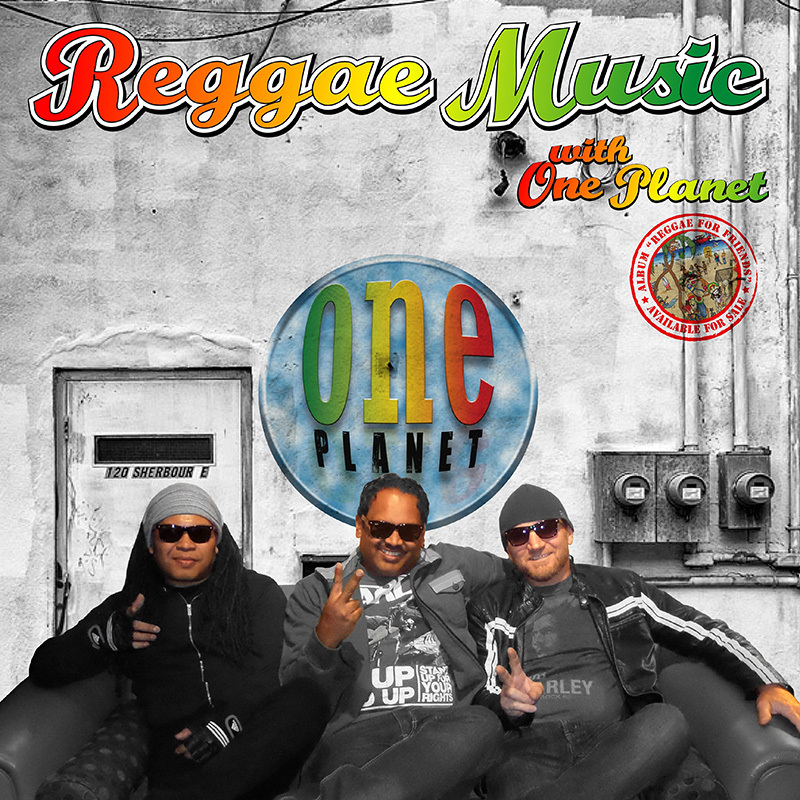 ONE PLANET is a trio that has more than 22 years’ experience in the music industry. It features Ravie Varmaan on vocals/timbales, Matthew Peters on guitar/vocals and Pari “RASTA” Fari on djembe and congas/vocals. 2016 started with big announcement where One Planet supported the UK Reggae star Maxi Priest in his 2016 Australian Tour. 2015 has seen ONE PLANET’s popularity increase since they released their debut album “Reggae for Friends”. The album features popular songs that the band has rearranged into a ‘Reggae Party’ genre. Songs rearranged include popular hits such as Purple Rain (by Prince) and What a Wonderful World (by Louis Armstrong). The album and featured songs have had air play on local radio and have sold very well to the trios established fan base. 2006 to current – One Planet have been performing in Adelaide and now work actively at least 4 nights per week at various hotels and clubs. They are currently employed by the Hurley Group a chain of hotels that has them performing at the Tonsley Hotel, Marion Hotel and Arkaba Hotel. Other hotels they perform at include Golden Grove Tavern, Mick O Sheas Irish Pub, Exchange Hotel – Gawler, Para Hills Community Club, Stamford Grand Hotel – Glenelg, Kersbrook Tavern, Blacksmith’s Inn, Morphett Vale Function Centre, Fuze Food and Wine Bar and Port Dock Brewery. 2013 – Schutzenfest German Festival Adelaide – 3 days festival with attendance of 20,000. It involves German food, dances and music. 2011 – Supported 70s UK Glam Rock Band ‘The Sweet’ at the Arkaba Hotel. 2004 – One Planet was resident band at the Skycity Casino in Darwin performing 5 nights per week for a year contract. It also performed at other clubs around Darwin, such as The Hub at Palmerston, Duck Nuts, Beachfront Hotel at Nightcliff.